We are dedicated to customer satisfaction and delivering high quality market research. Whether you need one focus group or ten, one respondent or hundreds, we deliver excellence. We have a vast national medical database—meticulously maintained and growing daily. For over 35 years, we have sustained long-term relationships with clients who trust and value our services. Our professional staff contributes to the success of each qualitative research project. 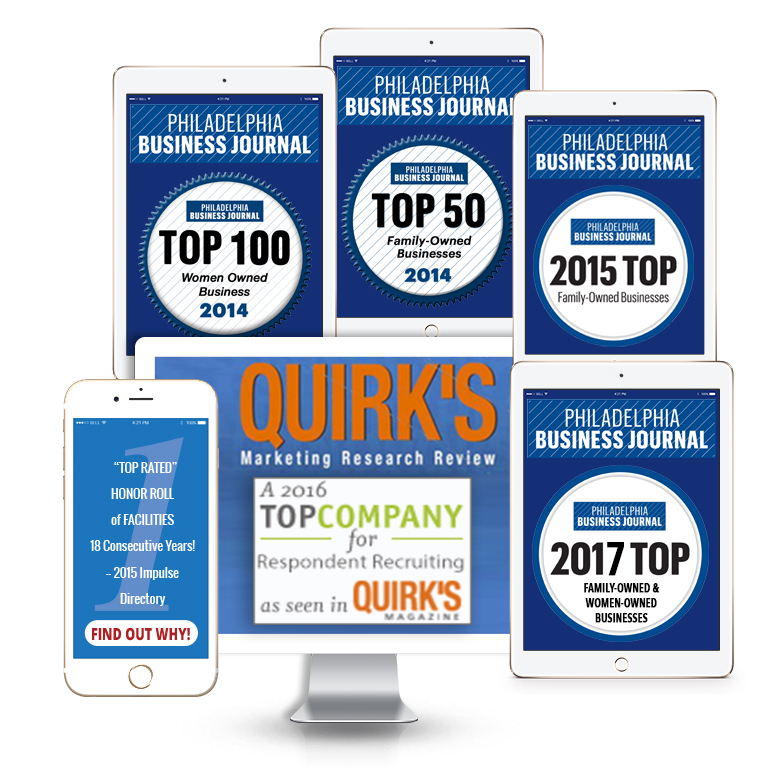 Philadelphia Business Journal has again named Group Dynamics as one of the region’s “Top Family-Owned Businesses” AND "Top-Woman-Owned Businesses." To qualify for the Family-Owned list, businesses must be at least 51% owned by two or more family members. Ranking is based on the number of local employees. Long term relationships with clients and a professional staff that contributes to the success of each qualitative research project is the reason clients trust and value our services year after year. Commitment to customer satisfaction as well as the integrity of the research being conducted has helped Group Dynamics repeatedly earn top-ratings among the country's most popular qualitative research facilities.